It’s hard to know where to begin with the Welsh Album, so I’ll start with the photograph that originally caught my eye, a cabinet card by Mitchell of 505 Main Street, Kansas City, Mo. Jane Thomas was an English poet who published in the mid 19th century. 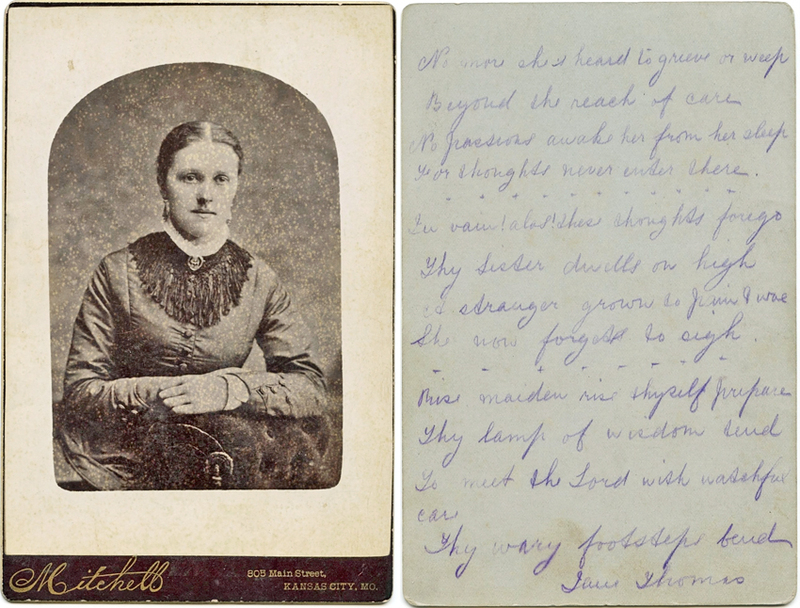 The nature of this poem makes me think that the sitter may have died and the cabinet card was then sent home, perhaps to Liverpool. 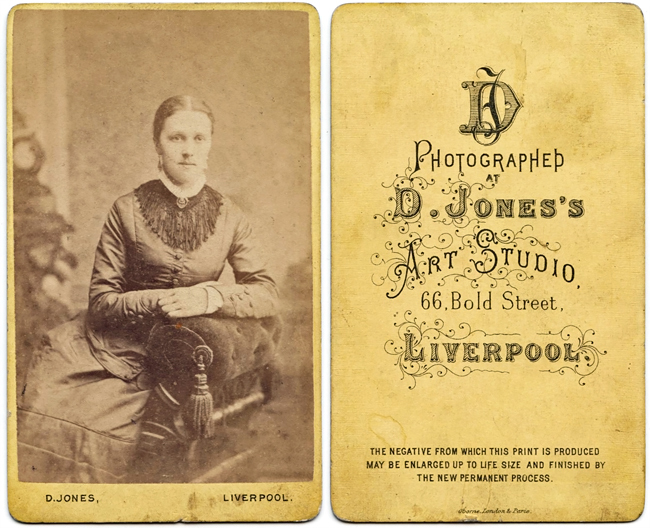 I can’t find any information about the photographer Mitchell in Kansas City, USA, but Daniel Jones was a photographer in Liverpool, UK, during the 1860s, 70s and early part of the 80s. Which provides a (very) rough date. More Liverpool connections to come. And Wales, of course! Many thanks to friends at Antiquers and RootsChat forums for help with this research. Many thanks for your message, it helps to date the photo. I need to revisit this soon!